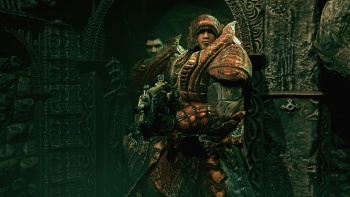 I came across a story this morning that really got me excited, according to the Escapist Magazine Epic are going to be releasing their biggest set if Gears DLC ever in July which will contain seven new multiplayer maps and a deleted scene for the single player campaign. The deleted scene is entitled “Road to Ruin” and can be played in the normal all guns blazing method or utilising a new stealth gameplay where you can apparently dress up as a locust and join them for tea if you liike. I have to admit that adding stealth gameplay to Gears doesn’t interest me in the least but that isn’t the reason I am not getting this DLC. Epic (or Microsoft) have slapped on a price of 1600 Microsoft points for this or around R200 if my memory serves me correct. The prices for DLC and arcade games have been steadily rising and it’s about time we, as consumers, put a stop to it. The companies will carry on raising the price until they see that they have hit the limit on what we are willing to pay and for me the limit for a map pack is 800 points and for added gameplay or abilities is 1200 points. In a completely unrelated press release it was also announced today that Gears of War 2 has now sold over 5 million copies worldwide, so if only 20% of those buyers pick up the DLC Epic stands in line for a $20,000,000 pay day. Maybe CliffyB needs a new sportscar? Tell you what Epic, drop the price down to a reasonable 1200 points and I will snap it up in an instant.